We at Orange County Best Tree Service offer the best and most affordable and professional tree service in the OC area. We are certified and insured tree removal specialists. Our promise to you is to deliver the highest quality service at the most competitive price and develop an ongoing relationship with you. We are confident that once you’ve experienced a seamless tree removal with us, you’ll never go anywhere else. Here us what kind of service we offer for tree removal. 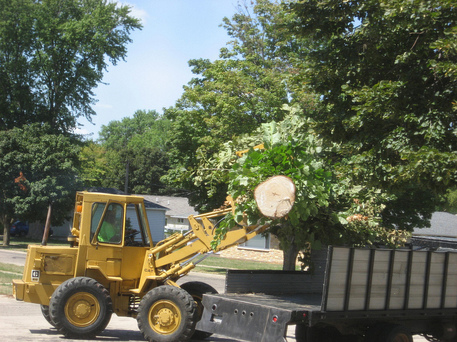 We offer tree removal that is performed by properly insured service providers. Most people who use unlicensed and uninsured tree services or lawn services risk being libel for injury of a worker as well as damage to your home or garden that may never be paid. We are properly insured with liability as well as workers comp insurance to ensure the safety of our workers and our clients. We have a great reputation here in Orange County. We take pride in that. We have been in this area for a long enough time to know the trees that are indigenous to California and even the most common imported trees. We can safely uproot and remove large or small tree and remove it. We use the most up-to-date equipment to remove your trees safely. Want to chip your tree for mulch? We can do that! Just call Orange County Best Tree Service now for an assessment appointment and quote. Want to be able to grind the stump and replant the hole? We can do that too! It’s all part of successful tree removal and it’s part of what our reputation is known for! If you are one of those people that believes you should recycle the tree. Then by all means allow us to take what is left of the tree after cutting and removal and chip it for mulch. We have the best state-of-the-art equipment. We are eco-friendly in our tree disposal practices. We are careful to respect the wishes of our clients–including our earth-friendly ones. We never unnecessarily remove a tree. We will consult you and come out and actually test the tree for integrity. Once we have determined it is really dead then we can discuss options. Some of our green clients know that a dead tree–provided it’s safe, can be left standing for wildlife like woodpeckers and the like to use. However; in a place where a dead tree can also blow down and damage property or potentially harm someone–the decision to remove is a prudent one. In high storm or tremor areas this may be the only choice. We can also tell you if the tree can be saved. If it can, we will suggest the most prudent choices to compliment your green ethics. We respect the property and wishes of all our clients. We aren’t a lawn service. We don’t come to you as the guy who cuts your lawn and decides to remove a tree. We at Orange County Best Tree Service understand that there is a lot to know about trees. There is a lot to understand about safe tree removal and only the pros should be involved in removing it and disposing of it. In fact, any tree service should be done by clearly certified service people. There are insurance and safety issues to consider and we are the pros that handle it and handle it right–the first time. Like any service, there are elements to it that are only known to the professional and that’s why you call us and not your neighbor, relative with a green thumb or the lawn guy. We have qualified staff that have the education to serve the residents of Orange County with the most optimal tree service available. We are trained to clear trees from power lines and prepare them for removal. 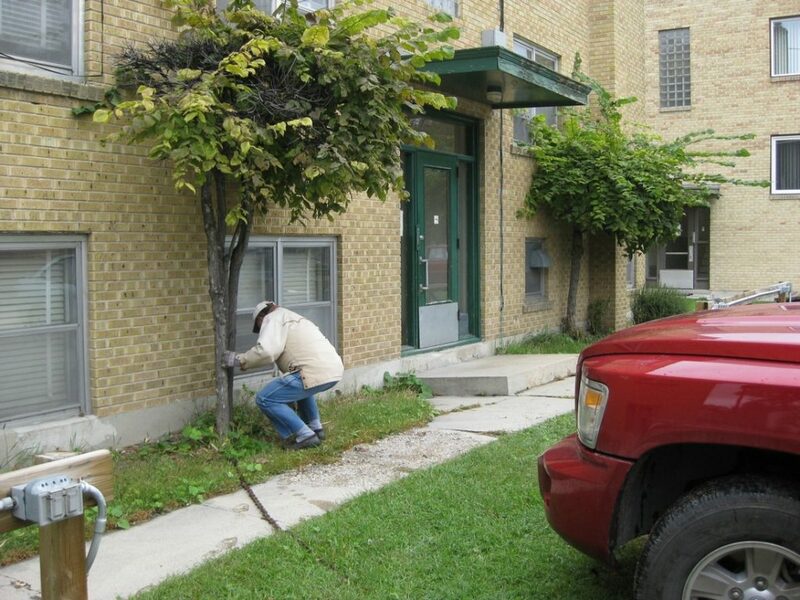 We can be trusted to handle any job on any property whether it is commercial or residential. Our assessments and consultations about the work to be done on your tree is second to none. We will never just show up and do a job without giving you the best advice available to steer you toward the most effective and affordable tree solution for your property. Our certified Arborists are trained and insured to insure a safe removal and disposal. There is a lot of liability to tree removal and not everyone you hire to remove a tree has the proper credentials to do it safely and without leaving you with a future nightmare. There are two basic types of liability. One is where a tree that is being felled lands on a piece of property and damages it and the other is when a tree lands on a tree service provider and damages him or her. Neither is what you need but–accidents happen. Our record is pretty impressive but we make sure we don’t fool with Mother Nature. We are always prepared. There is almost no way to make a spot on estimate on the felling and removal of a tree over the phone or at first blush. This is because there are so many elements that affect it. We will send a certified Arborist to look at the job to be done and assess it for you. One thing that you can be certain of is that you are not going to be confused by a vague estimate. We will take a large magnitude tree project and walk you through it phase by phase. But have no fear–this is a worse sounding project than it seems. With us, you are in capable hands. You can expect an initial assessment of the tree and tree site. 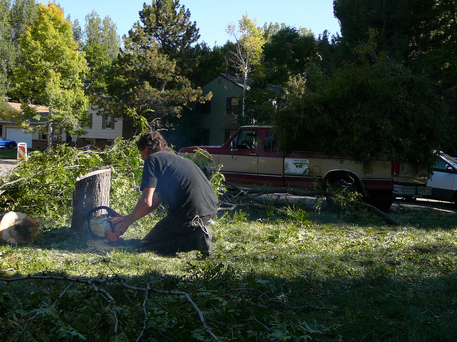 The cost of the removal and the location of the tree is assessed and placed into the estimate. Then the equipment and the time it may take to remove the tree is estimated. Then the next scheduled day, the tree will be removed. Expect to be included in the plan if yard furniture or other yard pieces have to be moved or plants need to be dug up and transplanted if the tree removal interferes with that. There are a lot of ways to take care of the tree disposal. Obviously, tree limbs are removed and placed aside and there is a tree stump left as well. You have choices here and those choices can affect price to the positive and the negative. We can’t be specific here because each case is different and we would have to see the project site first. You can have the limbs and trunk hauled away or, you can have the limbs wood chipped which costs less in actual fact and it is a more green way to go because those wood chips can be re purposed. You can also use some trees for logs with log splitting if you have a fireplace and normally pay for or labor for firewood. This is a nice addition to your fire wood collection. You could fetch quite a bundle depending on the size of the tree. This is more of an emergency situation. When a tree falls on your property you will want to clear it away very soon. Orange County Best Tree Service is the best in the OC area and has been for years. It’s not the services that make us unique–after all–there is only so many ways to do a job. But it’s our attitude and the way we approach our service that makes us unique. It’s a relationship we have with the industry and that gets transferred to our clients. With Orange County Best Tree Service you can count on the best, most thorough, safe and effective tree removal. Call Orange County Best Tree Service for a quote now.